Black Rhino Truck Wheels and Off Road Wheels announces partnership with Save the Rhino International to help protect black and white rhinos in South Africa so they can thrive in the wild for future generations. Black Rhino Wheels http://www.blackrhinowheels.com/ designs and manufactures aftermarket wheels for off road trucks and SUV's. The rugged styling draws its inspiration from one of the toughest beasts in the world, the Black Rhino. Black Rhino Wheels focuses on designing truck rims that fit on and off road vehicles properly, and each wheel is engineered to carry the heavy loads often associated with trucks and SUVs. These custom off road wheels are made to extremely strict quality standards and embody more than 30 years of design experience. Black Rhino Truck Wheels announced its partnership with Save the Rhino International this week and has agreed to donate a portion of sales of every wheel to Save the Rhino International. Black Rhino Wheels will donate 5 South African Rand to Save the Rhino International from the sale of each wheel (up to 200,000 wheels by 12 January 2017). Black Rhino Truck Wheels and Off Road Wheels supports Save the Rhino International’s vision for all five rhino species to thrive in the wild for future generations. “Black Rhino Wheels is passionate about helping to protect these majestic animals from the horrors of Rhino poaching,” says Terence Scheckter, President of Black Rhino Wheels. In South Africa alone, the number of rhinos killed for their horn has increased almost 9000% since 2007. Poaching for their horns is the biggest threat to the rhino’s survival and at the current rate of poaching, rhinos could be extinct in the wild by 2026. Protecting rhinos is challenging for the rhino conservation programs, especially with the increase in sophisticated techniques that are being used to poach rhinos such as helicopters and veterinary equipment. 100% of the donations by Black Rhino truck wheels are specifically focused on funding and supporting rhino population conservation efforts in the Hluhluwe-iMfolozi Park in South Africa. The illegal trade in animals, plants and fish is the fourth largest illegal trade after drugs, arms and human trafficking. This illegal trade destroys wildlife, threatens global security and affects employment of poorer local communities. Save the Rhino International is a vibrant charity that works to protect all five rhino species in Africa and Asia and support the communities that share their habitat. 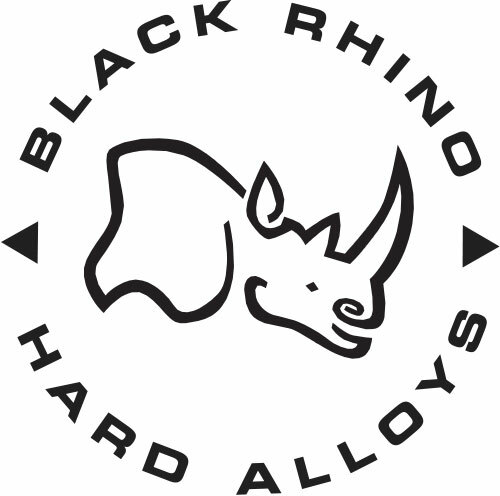 Black Rhino, named for one of the toughest beasts on the planet, is focused on designing and manufacturing attractive, high quality, hardened alloy wheels for trucks and SUVs. That includes lifted off-highway vehicles that require truck rims that add to the vehicles aggressive appearance and feature a negative offset, and city trucks that look for wheels that typically have positive offsets. Black Rhino Wheels are part of the TSW family of aftermarket wheel companies. To find out more about Black Rhino visit the Black Rhino Wheels website or visit TSW alloy wheels http://www.tsw.com/ . TSW has been born of a rich racing heritage. Founded by a former Formula One racing driver, TSW has been involved in motor racing around the globe for over 30 years.